The following details were provided for interested buyers when I placed the vehicle up for sale. I retained the information below as it offers a good overview of this particular vehicle. Only traveled 9,000 km's following an extensive bare-metal restoration on an excellent, almost rust free original vehicle. Now fitted with cruise control, CD stereo, immobiliser, remote central locking and alarm. Garaged all its life, and still on the original registration. Stunning presentation and unbelievable road performance. Extremely tight and quiet with exhilarating performance. Rebuilt, enhanced and treated like a baby by a fastidious owner. Used for weekend pleasure only. 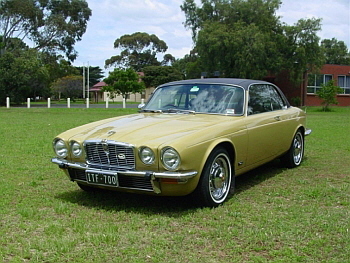 The vehicle had an extensive bare metal body and interior restoration. It was in regular use and in very good original condition. Purchased from a deceased estate (78 year old gentleman owned for 18 years) it was a genuine unmolested vehicle that had never been repainted or restored but after twenty-five years and 101,000 kilometres it was starting to show its age. A complete inventory of receipts and a detailed photographic history of the restoration was kept. The interior received new hood lining, carpets, heal mats, underlay, soundproofing, draft strips, dash crashpad, door trim backing's, rear parcel shelf etc. New rear disc rotors, whitewall tyres, chrome wheels, heavy duty battery, laminated tinted windscreen and all fuel lines were replaced etc. etc. etc.